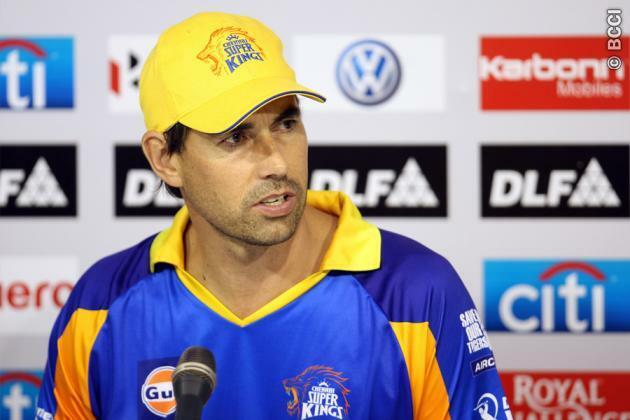 Stephen Fleming has expressed his sorrow over CSK's home games getting shifted from Chennai to Pune. Chennai Super Kings (CSK) head coach, Stephen Fleming has expressed his sorrow, as they will play their home games in Pune in the wake of the recent Cauvery Water Dispute. Previously, IPL chairman Rajiv Shukla had revealed the matches had to be moved out of Chennai owing to security concerns. The Maharashtra Cricket Association Stadium will now host eight games in total. They will also host one Eliminator and one Qualifier scheduled to take place on May 23 and 25, respectively. Top officials from Chennai did a meeting with the local police if they can provide adequate security. However, the police expressed their inability in ensuring enough personnel at the venue for the smooth conduct of the games. However, during CSK’s game against Kolkata Knight Riders, a group of protesters demonstrated outside the stadium. Despite tight security, spectators threw a pair of shoes near the boundary ropes during the match. Moreover, this isn’t the first time Chennai will play their game outside the city. Previously, in 2014, the Super Kings played their home games in Ranchi. Fleming took to Twitter to express his sorrow for going out of Chennai. He also hoped for a peaceful solution for the problem. Sad to be leaving Chennai today. Great to be back and again experience the love and passion the Tamil Nadu fans have for cricket and CSK. I trust a ‘peaceful’ resolution is found soon for the problems at hand. Thanks to everyone for making the team so welcome. “Sad to be leaving Chennai today. Great to be back and again experience the love and passion the Tamil Nadu fans have for cricket and CSK. I trust a ‘peaceful’ resolution is found soon for the problems at hand. Thanks to everyone for making the team so welcome,” Flemming tweeted. Meanwhile, Chennai had started the tournament on a high. They have won two matches out of two thrilling encounters. Although they will miss their Yellow Brigade, they will like to continue their winning run.